Well what can you say about 2012? The Heathens finished top of the National League again, in fact they only lost four of the Official matches all season but still came away with nothing! They had the best crowds in the league, best club, best programme. It was all down to bad luck in the end. The title was decided against Mildenhall in the Play-Off Final at Kings Lynn. With the Heathens winning the first leg on October 23rd - 51-37, the second leg the following night was on a knife edge. By heat 14 the aggregate score was 88-87 with Roynon and Morris in heat 15 the Heathens just needed a heat win, however a dramatic crash when Stefan Nielsen thundered round the outside caught the fence and his bike took out Roynon, the race was stopped with Roynon stretchered off with a badly broken leg. The referee studied the video and it was alleged that Mildenhall co-promoter Chris Louis watched it with him and influenced his decision and then he controversially excluded the Dudley skipper giving the Fen Tigers a gift 3-3 to win the League Championship. It was heartbreaking for the Heathens and a match that the loyal fans could never forget, and it drove a big wedge between the two clubs. The club appealed against referee Dave Robinson's decision who should never have allowed the co-promoter to enter the referee's box. The season started with a win in the National Shield against the Fen Tigers in April, first losing by one point at West Row, Mildenhall the second leg at Monmore was rained off a week later. The re-run of this match was on 29th May with Dudley winning 52-41. They went through the league campaign to finish in top spot winning 13 out of the 14 matches home and away, their only defeat was at West Row Mildenhall in August, no surprise really as the Heathens were without Adam Roynon, Ashley Morris and Tom Perry! It was no wonder that Mildenhall became the enemy of 2012. Dudley raced the first leg of the KO Cup Final at Mildenhall at the beginning of October, it had been more than a month since the Heathens had ridden. Joe Haiines guested for Adam Roynon with 13 paid 14 he more than did his job but operating rider replacement for Ashley Morris it was always going to be difficult but then Byron Bekker crashed with Dan Greenwood and suffered knee ligament damage in heat three, an injury that finished Byron's career. It left the Heathens with a mountain to climb losing 61-33 in this first leg. The second leg of the KO Cup Final was the second match of a double header following the Play-Off Final clash with Mildenhall. The match was conceded after heat 12 with the Fen Tigers scoring 32 points to the Heathens 41. 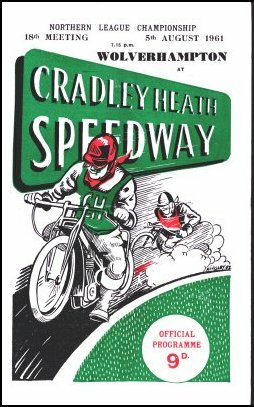 Dudley were up against it from the start with rider replacement for Tom Perry who was injured in the first half of the double header with a broken thumb and broken scaphoid. Sean Phillips had to replace the injured Byron Bekker. So Mildehall took the KO Cup 93-74 in front of a massive Dudley crowd. Rider of the year was Adam Roynon who was adored by the Heathens fans, his approachable personality made him an instant hit with the supporters and there is no doubt that Adam gave his all for the club. He was of course so unlucky with injuries and to see him end the season in hospital was dreadful. Tom Perry and Ashley Morris both continued to improve throughout the season, Tom in particular gained a lot of confidence riding for Somerset in the Premier League. Now a contracted Dudley rider he was great to watch round the 'boards'. Byron Bekker took that nasty tumble and injured his knee very badly which is a shame for the South African his influence on the young riders around the pits was invaluable. Dudley also took on Jan O Pedersen to help the young lads in the pits and got a lot of respect from the youngsters who were soaking up his knowledge like sponges. Both Darryl Ritchings and Dan Greenwood had a good season and continued to improve. James White-Williams was signed as a reserve with good gating ability and he decided to return to motor-cross at the end of the year. The 2012 Golden Hammer was Rained off on July 10th and re-run on July 31st won by Kyle Newman with Simon Lambert 2nd and Ashley Birks in third place.